Recently, I had the opportunity to attend and present at this year’s annual membership conference for the Industrial Technology Research Institute for Taiwan (ITRI). One of the world’s leading R&D institutes, ITRI’s mission is to advance new technological capabilities within Taiwan and ensure that Taiwan is at the forefront of technology innovation. The conference had approximately fifty attendees and included thought leaders from academia and both the consumer electronics and manufacturing industries. Unsurprisingly, given ITRI’s mission, all attendees with the exception of myself were Taiwan nationals. Over the years, I have noticed that as GaN Systems continues to grow and expand, I am being invited to more conferences that are considered “traditionally Taiwanese”. I truly believe that these invitations are a result of Gan Systems being recognized as the leader in GaN technology. During the conference, there were a total of five presentations organized, mostly academic and research-oriented. 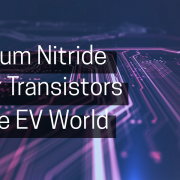 What I found interesting was that my presentation, Gallium Nitride Power Transistors in the EV World, was the one that discussed technology innovation using GaN from a practical, real-world point of view – and this is largely due to GaN Systems being well positioned as the best technology supplier. In fact, we are the only company with a product line that encompasses both the 100V and 650V ranges needed to solve critical engineering power design challenges that exceed the capability of legacy silicon technologies in both consumer and industrial uses. While my presentation primarily discussed the use of GaN in electrical vehicles, what I noted was that after my presentation, I received a number of questions about GaN applications outside of this area. One particular field that I believe will be greatly impacted by GaN is renewable energy. I was asked a number of questions related to this area, and the interest is a direct result of Taiwan’s government mandate to roll-out solar technology throughout the country. At the conference, I observed that more people are starting to realize that while GaN is a little more expensive than Silicon today, organizations of all types and sizes are increasingly turning to GaN because it saves money at the system level. For example, when we look at GaN design results, our customers see a reduction in losses, size decrease, and solution cost decrease. Ultimately, this means that our customers save on costs at the system level when switching to GaN Systems devices. Today, GaN is used in a diverse range of products, such as LiDAR for drones and automobiles, wireless power for robotics, industrial servos, tactical power systems, and data center power supplies, and looking ahead, the use of GaN will only continue to grow. When we look specifically at vehicle electrification, GaN improves overall efficiencies and reduces size, weight and system cost. For instance, when we compare a GaN Systems-based inverter with a Silicon-based inverter, the GaN inverters are one-fifth the size and one-third the weight. Consequently, our global customers experience a reduction in power losses and system cost. Additionally, when we look at an electric car’s inverter drive, using GaN is more efficient than Silicon and SiC. 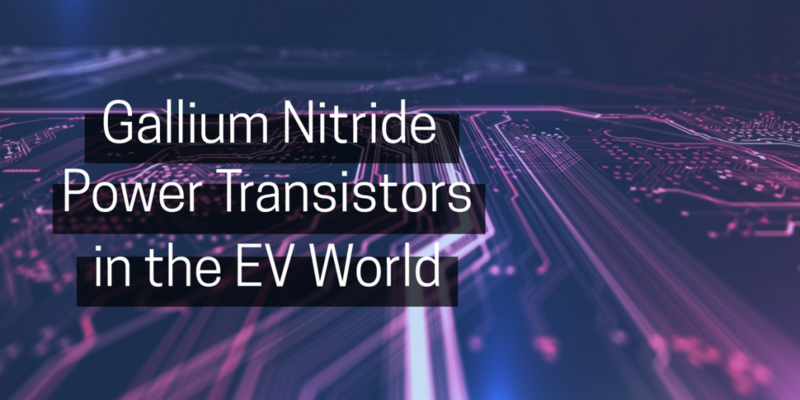 Hence, electric vehicle manufacturers can have a smaller, cheaper battery that provides the same range as Silicon and SiC, thereby reducing costs and weight. No doubt GaN technology is changing the value, performance, and cost dynamics of the design and production of the power systems critical in some of today’s most important industries. At GaN Systems, we are providing a new world of product and system design opportunities free from the limitations of yesterday’s silicon. Companies of increasing global impact with power-reliant products have the ability to move from a business defined by limitations to one of new product design possibilities. For example, data centers are now more energy efficient, solar energy storage has greater capacity, and electric vehicles can drive further. By changing the rules of power for technology companies, GaN Systems is helping companies not only revolutionize their industry but transform the world. For more information on GaN Systems, visit here.